Here is the list of some of the best rated sewing machines you can get in U.S for under $400. The list is strictly based on user feedback. 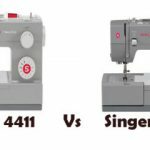 Today we decided to compile a list of 10 Best Rated Sewing Machines that you can buy under $400 in U.S. The list is completely based on user feedback and we put a tag of ‘under $400’ to limit our list. Feedback from the users who used the machine for long periods is the best thing you could ask for, before buying a sewing machine. So for your convenience, we have compiled a list of 10 best rated sewing machines which users believe, will go a long way in growing your creativity. Whenever you look for a beginners sewing machine, you will come across CS6000i for sure, you simply can’t ignore it. Because it is that good. It has been the best seller ever since it was released. It has been sitting on top for years now. To get to the top and stay there is something that only special ones can achieve. Brother CS6000i has achieved that and is still going strong. It is a computerized sewing machine with 60 built-in stitches, automatic needle threader, speed control slider etc. It is well priced for the features. Cons : You will have a hard time finding a limitation of this machine. Probably you can say that it is an old machine, as nothing much has changed ever since it was released in 2007. You can’t quite say that SE400 is a beginners machine. 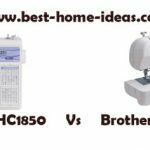 However, it is very different from other sewing machines in this list because it is a sewing & embroidery machine all rolled into one. 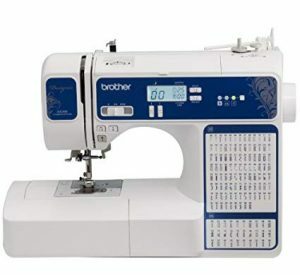 Brother SE400 is the most affordable sewing & embroidery combo machine you can get in U.S. Apart from regular sewing, if you have some taste for embroidery, this is the best choice (probable the only choice). 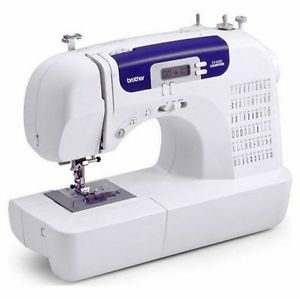 If you take the sewing features of SE400, you will see that its features relate to a regular sewing machine that costs around $180. The remaining amount is what you pay for the embroidery features. SE400 has quite a lot of features on board, 67 sewing stitches, 70 embroidery designs, 5 built-in fonts, 4″x4″ embroidery area, LCD touch screen with on-screen help, automatic needle threader, automatic thread cutter are some of them. A unique feature of SE400 is the computer connectivity, which lets you import designs from the internet. It is a premium feature that allows you to experiment with your creativity. Cons : Not much to talk about. Probably a larger embroidery area would have been perfect. I personally love this sewing machine. It is feature rich and at the same time it comes with an affordable price tag. It was under the shadow of CS6000i in the beginning, now it seems to have emerged out of that. It definitely has the features to outclass CS6000i. 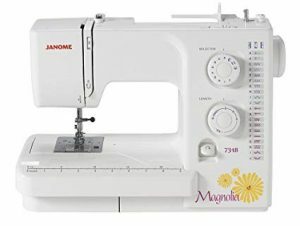 It comes with 100 built-in stitches, a sewing lettering font for basic monogramming, programmable needle up/down, automatic needle threader, speed control slider etc. Cons : You need couple of attempts to get used to the automatic needle threader. Ever thought of getting an advanced sewing machine at a reasonable price ? Consider Singer 9960. 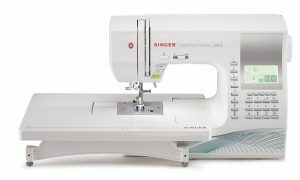 You can’t get a sewing machine with more features than 9960 for under $500, I swear. It is feature rich, yes, but it is not what users love about this machine. It is the quality and performance of this machine that they love the most. 9960 has a whopping 600 built-in stitches, automatic needle threader, programmable needle up/down, automatic thread cutter, speed control slider etc. Design wise, this has to be the most elegant looking sewing machine in this list ( even though the aesthetics don’t really count when you buy a sewing machine). Cons : Older machines had some bobbin jamming issues, but a recent product upgrade seems to have fixed it. You need to be really careful while choosing this machine. It is not because it has problems, but because of its inconsistent price tag, which oscillates quite a bit. Feature wise it is much more advanced than Brother Cs6000i and XR9500PRW which we listed above, but the oscillating price throws in a lot of confusion among buyers. 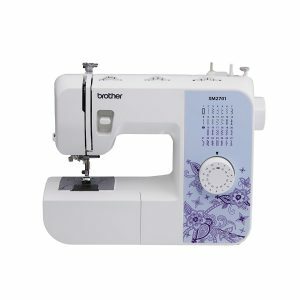 It has 130 built-in stitches, automatic needle threader, 1 built-in font for monogramming, programmable needle up/down, speed control slider etc. 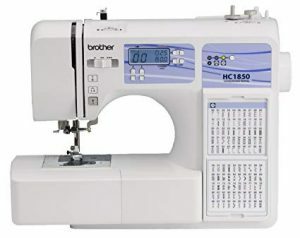 Brother HC1850 would be a great bargain if it is priced anywhere close to (around $20 – $30 price difference is okay) Brother CS6000i or XR9500PRW, as it is clearly the more advanced sewing machine. Cons : No reinforce stitch option. Monogramming is not perfect with lightweight fabrics. Not really ideal for quilters. The price oscillates, sometimes it is an awesome deal and sometimes it is a deal blower. DZ2400 is slightly more advanced than the previous machine in this list. Unlike HC1850, this one seems to have a reasonable and consistent price tag. This machine has all the features required by an intermediate sewer. It has 185 built-in stitches which includes 55 alphanumeric stitches, automatic needle threader, 1 built-in font for monogramming, programmable needle up/down, speed control slider etc. The best part is that DZ2400 is a designio series machine, which means you will get a full set of designer accessories including an extra-wide table. For the price, it is a great deal. Magnolia 7318 is for those who love mechanical sewing machines. 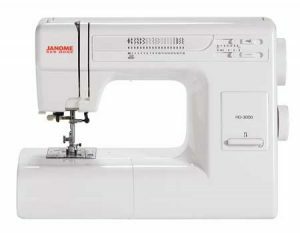 This is a machine designed to last long but with lesser features when compared to the modern computerized sewing machines. But the demand for this machine clearly suggests that, still there are people who love mechanical sewing machines in the current era of technology. Magnolia 7318 has a very simple design and comes with 18 built-in stitches. This is an extremely stable sewing machine. 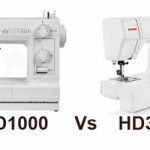 If you are looking for a sewing machine to sew heavy-duty fabrics, look no further than HD3000. The ease with which HD3000 sews through multiple layers of denim is something you need to experience by yourself. You won’t believe until you see it. It comes with 18 built-in stitches, automatic needle threader etc. The operation is smooth and quiet. 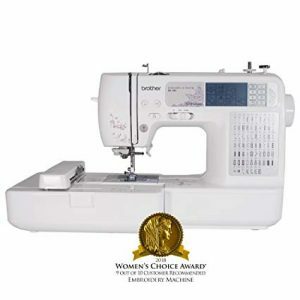 It is one of the heaviest sewing machines in the price category. A true workhorse for sure. It is sturdy, durable and a user-friendly. Cons : Work light is very dim. 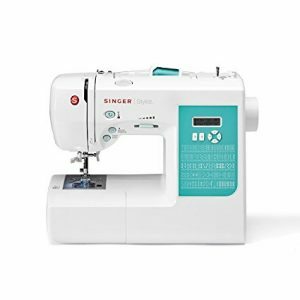 This has to be the best beginners sewing machine from Singer. 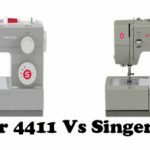 It is a combination of good features and great price that made Singer 7258 popular among beginners. As far as Singer machines are concerned, no other machine comes even close to 7258 in sales volume. It has 100 built-in stitches, automatic needle threader, programmable needle up/down, speed control slider etc. 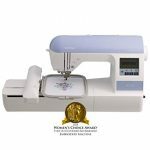 The performance of this machine is right up there with the best, a reason why it is one of the best rated sewing machines in U.S.
Cons : No drop feed dog lever for free-motion quilting. This is a new kid in the block. Just released in 2014 and has already started to make in roads in the sewing machine market. This is the least expensive sewing machine in this list. It comes in the under $100 price category. It is a quality, low cost sewing machine. 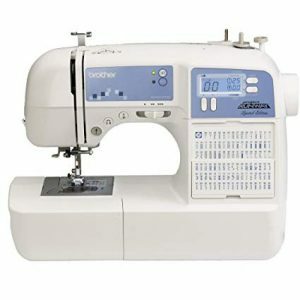 It comes with 27 built-in stitches, automatic needle threader, 1-step buttonhole, drop-in bobbin etc. For the price, it is a great bargain. The user feedback is also excellent. It is a portable sewing machine as well. Cons : Sewing light is very dim to be honest.